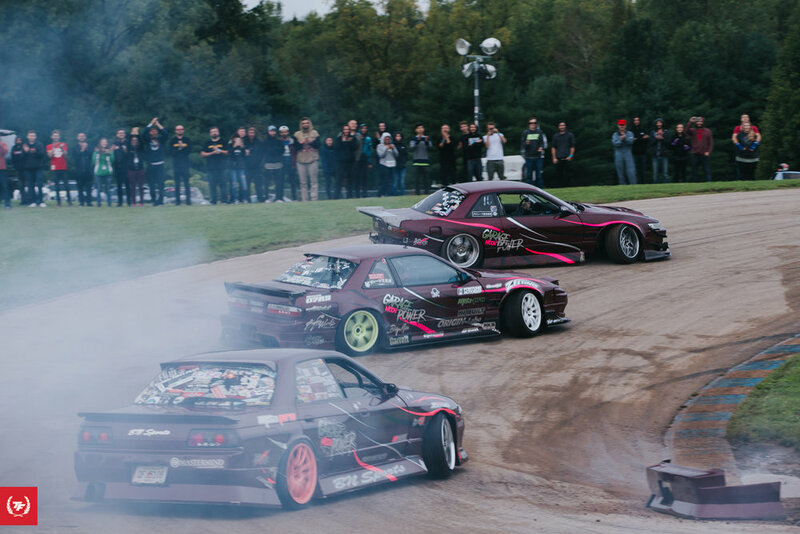 I went to my first drift event in May of 2013. It was at Road Atlanta for FD atl and instantly knew that it was something I had to do. I always had a love for cars and modifying them. I met some friends at that event that took me to a grassroots event a couple weeks later and I was hooked! The next week I was searching for my first s13 which later became my Formula D car. When I was introduced to drifting I had been playing rfactor a lot at that time and wanted to do time attack stuff but that dream was dropped as fast as drifting was Introduced. I met my would be team mate Phil a couple months after I started drifting and he had JDM factor at his house, I started obsessing over that shortly after being introduced and was basically where I learned to drift/tandem. What cars influenced your car’s style? 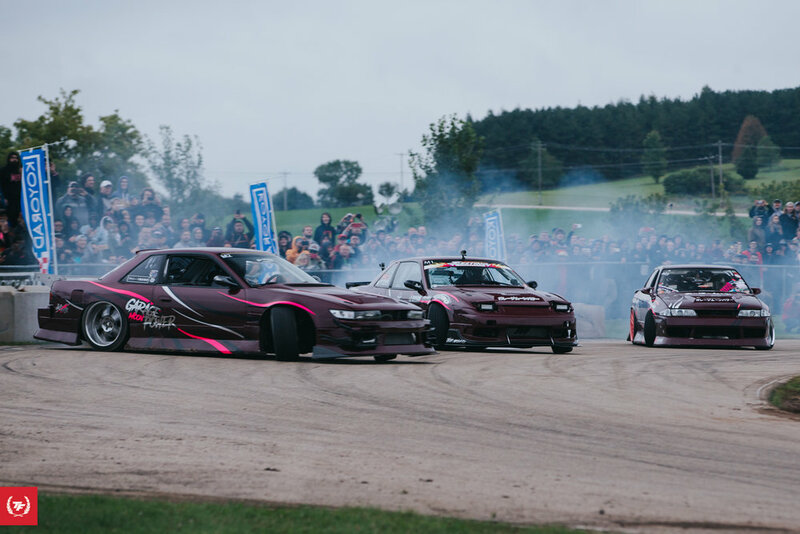 / Who influenced you to develop the drift style you have? Phil and Sebastain were already on a local team when I came into the picture and the other guys on the team had sold their cars and what seemed to of lost interest in it all and didn’t want to let me join. That was when the three of us decided to become Team Garage Moon Power, which was Sebastian and his girlfriends thing at the time. I was always into low cars with big wheels and loved an aggressive driving style so that was what I wanted my car style and driving to represent. 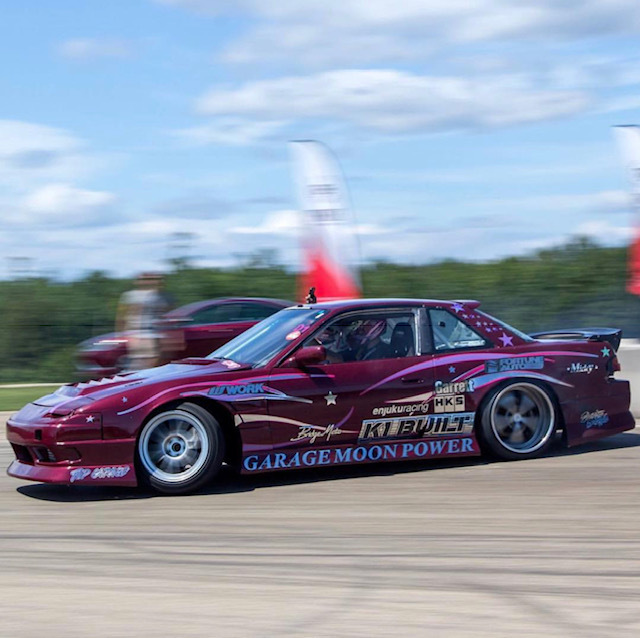 I had problems getting my original s13 (hatch) together so that’s when we put together the coupe so I could get seat time and I tried to get the most seat time possible in the last three years and that’s what has helped me progress as a driver! Some what simple builds that eventually got out of hand, and now my goal is to show that a nicely styled car can compete at even the highest level of competition in the country, which most (but not all) drivers have forgot about in their chase to get the most performance out of their cars. I started out drifting with the most basic setup possible, a 1990 s13 on blown coilovers with a welded diff! The people that I was lucky enough to be around when I was starting wouldn’t let me progress my car further than the skills I had. I had to learn how to drive that set up well before they showed me how to get angle mods, and then after that came a 300hp Sr20det swap. I drove that set up for a few events and then the motor blew up at the dyno. I ended up selling that motor to a friend and started to build that hatch for pro am comps. While that car was down I drifted on rfactor a lot, I had never tandemed in real life but I had easily 1000 laps on different tracks from that game. I ended up borrowing the car of my friend who I sold the motor, so I could go to Nopi Nationals. They had, at the time, a local event that ended with a competition and I knew the local organizer, so I wanted to go check it out. I remember after first laps in X7 Cressida that had full s13 suspension and the SR swap, coming back into the pits screaming in my helmet “it’s just like rfactor” so pumped! I ended up competing that weekend, qualifying 1st and winning the competition, first time I ever tandemed in real life was in competition! I bought my coupe after that to put a similar sr20 set up that I was planning to run in my hatch to keep getting seat time. I learned fast that the sr20 was just something that couldn’t survive my driving style. I then moved to the 1jz platform and it was the best choice for myself. I will always love the SR but 1js have my heart. The coupe ended up going together a lot easier than the other car so my focus was on it, a missile car that turned into a beautiful machine. I ended up using the coupe as my team car/pro am car and earned my formula drift pro2 licences with it and have focused the hatch, my original car as my Pro2 build.